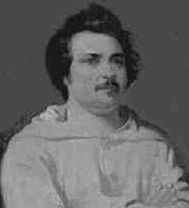 French novelist Honore de Balzac lived from 1799 to 1850. He is considered among the great masters of the novel. In early childhood he was sent to a grammar school at Tours and later to a boarding school at Vendôme. In 1816 he studied law at the Sorbonne, but after receiving his law license three years latter, he chose to abandon law for literature. Balzac began writing sensational novels to order, publishing them under an assumed named. Balzac’s first success, Les Chouans (1829, first published as Le Dernier Chouan), was followed by La Peau de chagrin (1831). In the next two decades he produced a large of novels and short stories called “La Comédie humaine.” This is considered his greatest work. The chief novels in “La Comédie humaine” are Louis Lambert (1832), Eugénie Grandet (1833), La Recherche de l’absolu (1834), Le Père Goriot (1835), Les Illusions perdues (1837), César Birotteau (1837), La Cousine Bette (1847), and Le Cousin Pons (1847). Just a few months before his death he married the Polish Countess Evelina Hanska. A story set during and after the Russian campaign against Napoleon, it tells of the crossing of the Beresina River. Monsieur Rabordin, a ministry chief, battles bureaucracy as he and his wife deals with his faltering career. The story of do-gooder Dr. Benassis. A young, poverty-stricken writer is invited to a wedding where he encounters an aging musician who sparks his interest. The musician turns out to be the descendent of Venetian royalty, telling the writer his story. The young writer suggests the two go to Venice to reclaim the fortune, but it is too late. A young man, while dying, asks a friend to deliver the news of his death to his lover, but the lover falls for the messenger. A young woman studying art in Paris finds a soldier hiding in the studio and marries him.